Kentrosaurus was a slow-moving herbivore (plant-eater) that lived in Africa during the late Jurassic period, about 156 to 150 million years ago. It was about 16 feet (4.9 meters) long, and weighed around 2 tons. Kentrosaurus may have been slow-moving, but it was well protected from predators by its armor. Its back was covered with a double row of triangular bony plates on each side of the backbone. At the rear, the plates were then replaced with pairs of sharp spikes, about 2 feet (60 centimeters) long, that went from the lower back down to the tip of the tail. There was also a pair on extra long spikes on the hips. Kentrosaurus was one of the Fossils brought back from the 1909-1912 German expedition to East Africa. Edwin Henning, who was one of the paleontologists on this expedition, published the first full description of Kentosaurus in 1915. A nearly complete skeleton of Kentrosaurus once stood in the Humboldt Museum in the University of Berlin, however, unfortunately, this was lost as a result of bombing during World War II. Although it usually believed that Kentrosaurus died out millions of years ago, there are some cryptozoologists (people who search for rumored or mythical animals whose existence is uncertain) have suggested that "Mbielu-Mbielu-Mbielu", an animal claimed to be known to villagers in the Northern part of the Republic of Congo, might just be a living Kentrosaurus. However, as yet, there does not seem to be any definitive proof of this. For more information see Living Dinosaurs? African Dinosaurs - Kentrosaurus lived in Africa. Kentrosaurus was a genus of dinosaur. Kentrosaurus was a member of the Ornithischia ("bird-hipped") order of dinosaurs. What this means, is that although Kentrosaurus was not closely related to birds, it did have similarly shaped pelvic bones. Kentrosaurus lived between about 156 million years ago and 150 million years ago, during the Jurassic period. Kentrosaurus was a herbivore (plant-eater). Kentrosaurus was about 16 feet (4.9 meters) long. Kentrosaurus weighed about 2 tons. If you love Dinosaur and can't get enough Dinosaurs, this Dinosaur lover's journal is perfect for you to write your to-do list and daily goals. 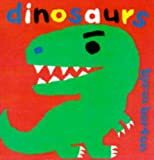 DINOSAURS: 101 SUPER FUN FACTS AND AMAZING PICTURES ( FEATURING THE WORLD's TOP 16 DINOSAURS) This book depicts the wonder of the world of Dinosaurs in all its glory. Children are given a well-rounded understanding of this fascinating creature: its anatomy, feeding habits and behavior. The following dinosaurs and pre-historic creatures are featured: Allosaurus Brachiosaurus Deinonychus Diplodocus Elasmosaurus Kentrosaurus Peteinosaurus Plateosaurus Pteranodon Stegosaurus Tylosaurus Tyrannosaurus Triceratops Velociraptor Spinosaurus Archaeopteryx The description in the large text is simple enough for early readers or for a parent to guide a child through. There is also a picture caption, which provides more information to talk about with your child. Alternatively, a child of any age (even the child in you) can just look at the images and appreciate its beauty. Do enjoy! Dinosaurs like Stegosaurus had stiff plates on their bodies. Some used their plates to heat themselves up or cool themselve off. Others had plates to scare off predators. Bold images, colorful maps, and interesting facts take readers back to a time when these scaly herbivores walked the earth. With dinosaurs marching, animals prancing, big machines roaring, and tools in action, Byron Barton is at it again with four new board books just right for toddlers: Zoo Animals, Dinosaurs, Big Machines, and Tools. In this great new collection of books, Mr. Barton’s trademark vibrant illustrations are paired with a colorful text perfectly suited to youngsters learning to identify objects, shapes, and colors. According to research from skeletal remains, the Kentrosaurus was a herbivore. The Kentrosaurus were relatives of the Stegosaurus. However, the Kentrosaurus had a body length of about 5 meters and their plates and spines were arranged in pairs on their back and tail. These plates and spikes were likely used to defend themselves against enemies or during courtship. 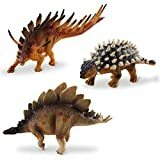 Great start or addition to your Schleich dinosaur collection! The Kentrosaurus was a peaceful herbivore, but it was far from defenseless. The sharp spikes on its neck and back were capable of inflicting serious injuries on predators. But most dangerous of all were the long spikes on its tail. If it had to defend itself, It lashed its tail around like a giant Club. All the Schweich figures are lovingly painted with detailed modelling and allow kids to learn while they play. Stegosaurs first appeared during the middle Jurassic period, and survived until the early Cretaceous period. They had all died long before the time that the other remaining non-avian dinosaurs became extinct at the end of the Cretaceous period. All Stegosaurs were herbivores (plant-eaters). 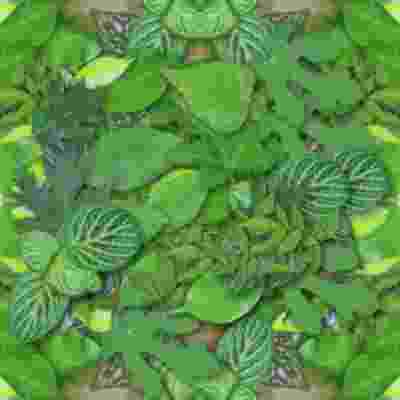 They were quadrupedal (walking on four legs), with hoof-like toes on all four legs, although it is thought that some species may have been able to rear-up on their hind legs to eater higher-placed foliage. The front limbs of Stegosaurs were shorter than their hind limbs, and as a result they are thought to have been slow-moving.Kentrosaurus a slow-moving herbivore (plant-eater) that lived in Africa during the late Jurassic period, about 156 to 150 million years ago. Kentrosaurus may have been slow-moving, but it was well protected from predators by its armor. Its back was covered with a double row of triangular bony plates on each side of the backbone. At the rear, the plates were then replaced with pairs of sharp spikes, about 2 feet (60 centimeters) long, that went from the lower back down to the tip of the tail. There was also a pair on extra-long spikes on the hips. Ankylosaurs first appeared during the early Jurassic period, and survived until the end of the Cretaceous period, about 65 million years ago, when all the remaining non-avian dinosaurs became extinct. All Ankylosaurs were herbivores (plant-eaters), quadrupedal (walking on four legs), and protected by armor. Although the amount of armor did differ between species. These toys measures approximately 14cm from nose to tail and are approximately 9cm tall. A life like rendition of dinosaurs for any child who is enthusiastic about all things DINOSAUR! FUN FACTS: Kentrosaurus means "Spiked Lizard". It weighed as much as a car and could swing its tail at 81MPH. Covered in armor with plates made up of spikes . AUTHENTICITY: Each prehistoric sculpture has been approved by Anthony Beeson, a well respected expert in palaeoimagery who is also an art librarian, archaeologist and collector, based in the city of Bristol, England. PRODUCT SPECS: Kentrosaurus measures 5.12 in L x 1.57 in W and is suitable for childrens ages 3 and up. 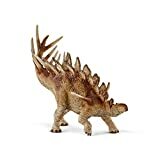 CollectA's replica of the Kentrosaurus is lifelike and detailed down to the double row of armored plates and spikes running down its back. Discovered in the early 1900's, the Kentrosaurus lived in Tanzania in the Late Jurassic. 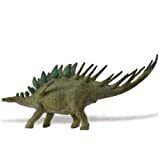 It had a small head, short forelegs and was small for a stegosaur, measuring approximately 15 feet in length. From fossilized tooth fragments, scientists deduce that the Kentrosaurus was herbivorous. Each figure in our Prehistoric Life Collection has been approved by archeologist Anthony Beeson, a well-respected expert in paleoimagery. All CollectA models are individually hand crafted to the highest standards and made with the finest and safest phthalate-free, lead-free materials. Create a natural world in miniature with high quality toy replicas from CollectA. Our mission is to educate collectors and to provide the greatest opportunity for creative play. A-MUST party favor gift for your kids birthday, Cyble Monday, Christmas, students, classmates, friends, as goody bag fillers, loot bag stuffers. Why not give your kids a great educational toy dinosaur set to help them learn while playing? - Kids have great imaginations! Give them this super fun play dinosaur figures set and watch them create imaginary prehistoric stories! 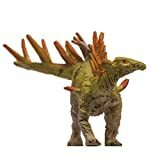 - Our child dinosaur toys, lots to share with brothers or sisters, or get each child their own set! 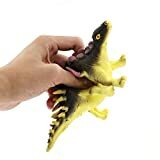 - Dinosaur toys are great to use with homeschool, for fun entertainment during a road trip, as props for your child's science experiment, or even a trip to grandma's house. - We've made this set of toy dinosaurs with your kids in mind. 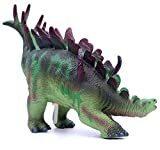 Sturdy non-toxic plastic will last through aggressive play, and realistic colors will help educate your child while they roar and stomp and imagine wonderful interactions between their T-Rex, Brontosaurus, and Triceratops. We have a no hassle 100% guarantee refund policy. 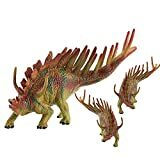 If your kids use this Play Dinosaur Figures Set by ANLEOLIFE and do not love it, simply return for a full refund, even used. Add one to your cart today, and consider picking up another so each child has their own set, or as a gift for a friend with kids who would love to enjoy imaginary dinosaur play! FUN FACT: Argentinosaurus currently holds the record for being both the heaviest land animal ever, and the longest. Despite its huge size, Argentinosaurus laid eggs about the size of a rugby ball, so its young had a lot of growing to do to. 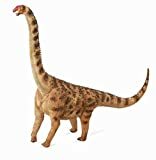 PRODUCT SPECS: CollectA's Brachiosuaurs measures 7.3" L x 5.2" H and makes for an intriguing interpretation of the fossil material, one that will please dinosaur fans and dinosaur model collectors alike. CollectA's replica of the Argentinosaurus is detailed and lifelike, down to the bumpy texture of its hide. As its name suggests, the Argentinosaurus was discovered in Argentina and lived between 97 - 94 million years ago. Based on the fossil remains, paleontologists estimate this dinosaur may have grown to be over 110 feet in length. This beautifully sculpted, lifelike figure from our Prehistoric Collection measures 9.4''L x 7.1''H. Each prehistoric figure in our collection has been approved by archeologist Anthony Beeson, a well-respected expert in paleoimagery. All CollectA models are individually hand crafted to the highest standards and made with the finest and safest phthalate-free, lead-free materials. Create a natural world in miniature with high quality toy replicas from CollectA. Our mission is to educate collectors and to provide the greatest opportunity for creative play. 5" L x 2" H [12.75 x 5 cm]. All Safari Ltd. products are hand-painted, phthalate-free and thoroughly safety tested to safe guard your childs health. Kentrosaurus means "spiked lizard." Kentrosaurus was a plant-eating dinosaur with both plates and spikes on its body. This dinosaur lived during the late Jurassic Period about 150 million years ago. The Wild Safari Dino collection has all the favorites including the Tyrannosaurus rex, Triceratops, Brachiosaurus and many more. Dinosaurs that children love most in a variety of fiercely action packed poses. Each dinosaur replica is amazingly detailed, hand painted for realism and designed to stimulate the imagination. All our figures are sculpted by experts which ensures authenticity. By providing educational information in five languages, we encourage children to learn about these ancient extinct creatures that once roamed our earth. New version of dinosaurs toys from PNSO. High detailed, realistic and exquisite. Excellent for educational purposes, endangered species awareness, environmental consciousness, plus gaining deeper knowledge of actual animals. PNSO is a specialized organization devoted to Scientific Art creation and research. It was founded in Beijing on June 1, 2010, by Mr. ZHAO Chuang, a Scientific Artist, and Ms. YANG Yang, a science writer for children. 1. All users, parents and guardians should read the instructions carefully before using this product. 2. This product contains plastic material, please mind finger cuts. 3. All products should be kept away from any sources of flame. 4. This product is made by environmentally friendly material,to avoid chocking hazard or possible bacterial transmission,please do not put in mouth. 5. Reckless disposal of the product may cause environmental problems, please recycle properly. 6. If necessary, please clean this product with a soft cloth dampened with water, do not use alcohol or any other acidic or alkaline cleaning solution. 7. This packaging contains important information which should be retained. Small parts included, not suitable for children under the age of 3 years old. Rubber Dinosaur:8 inch,kids love to bend,squish,stretch this fun dragon! 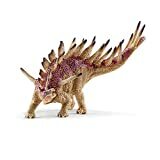 Dinosaur Toys: 8 inch,great gifts or party supplies! Do you ever know how many species among the dinosaur? Here I would like to introduce this amazing product which contains a lot of wild animal figures such as the tyrannosaurs. Now let¡¯s join us to explore the world of dinosaur about their official name, species, evolution and extinguishment. material :TPR(medical-grade rubber), which has good flexibility, abrasion-resistance, and can contact directly with human skin, has been used widely in medical, toy,baby products. Internal filler : EPS(Expanded Polystyrene),food-grade foam,has good stable performance and has been used widely in food product and cushion. This high-quality material is nontoxic and pollution-free, meeting the requirements of environmental protection and resource recovery. •Wrapped by delicate 3D gift box-highly recommended for children above three years old. •pack of 1 wrapped by PVC transparent bag-highly recommended for children above three years old. •Better ductility that can be scratched till ten times over its original shape. This feature can protect children from getting hurt while whamming heavily.